Looking for the best pulled pork chili recipe? 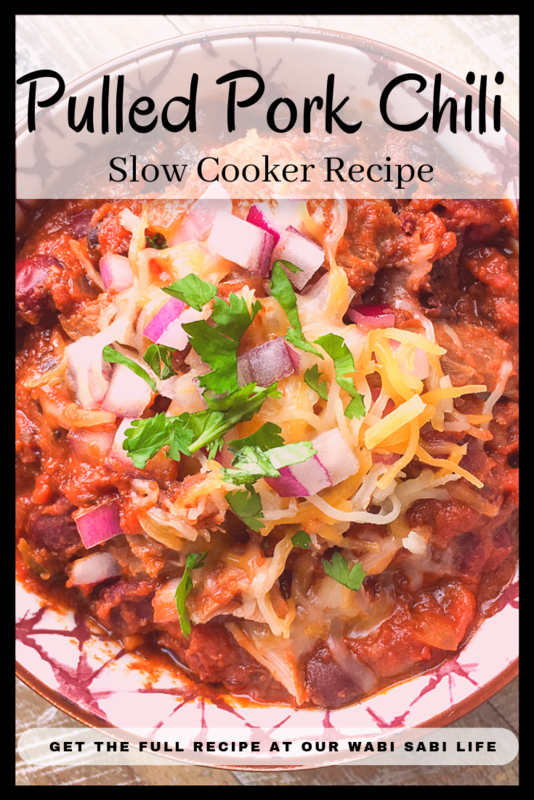 I have an amazing pulled pork chili recipe that is not only A-Ma-Zing, but it is also easy to make, thanks to the help of a slow cooker. 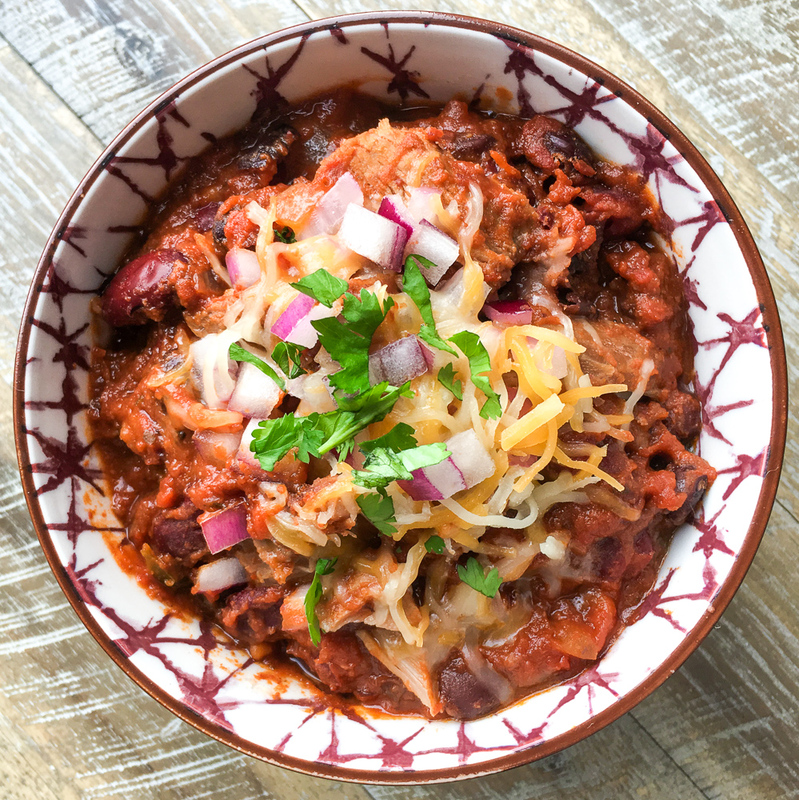 You will want to make this Slow Cooker Chili recipe again and again. Dinner made in the slow cooker is one of the easiest dinners you can have. You can get everything set up the night before, put the slow cooker in the fridge and in the morning before you start your day pull the slow cooker from the refrigerator and turn it on low. If you are short on time, you can cook on high for half the time. 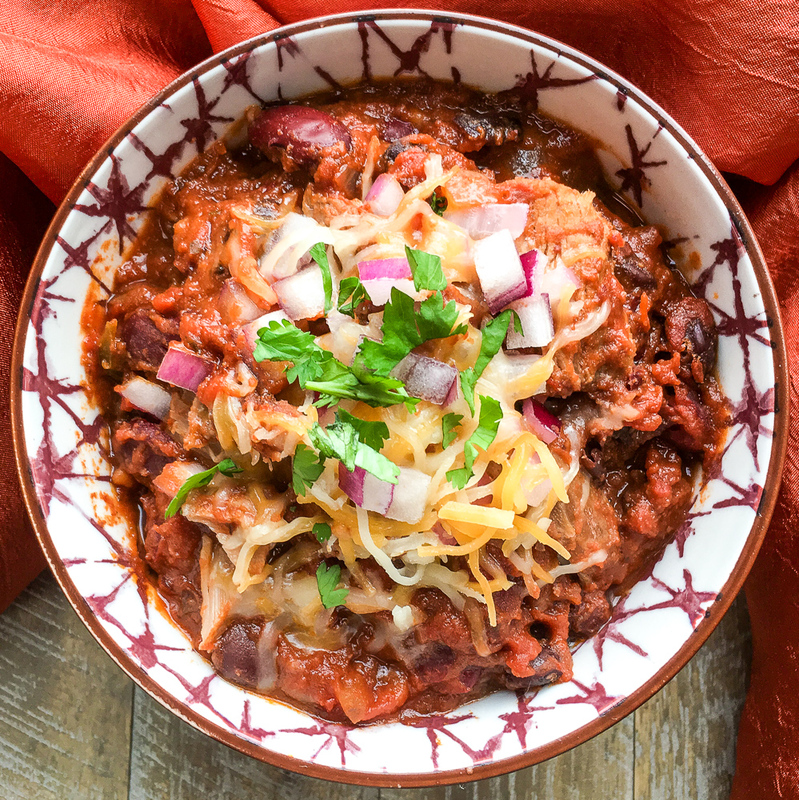 Make this slow cooker pulled pork chili for an easy dinner or for a large crowd. It is perfect for times where you have a lot of people coming over like during game day, a holiday or pot luck. I love anything chili. I make it pretty often. In all different ways, for example, White Chicken Chili in the Slow Cooker and Vegetarian Chili Recipe. whenever I make chili I like to have sides to go with it. Even though this dish can easily be a complete meal all on its own, servings chili with yellow rice and a side of corn bread is my favorite. Why Do You Add Cocoa to Chili? There are many ways to add richness to chili. Some people use a lot of meat to get a deep flavor. This not only makes a very large amount of chili, but it is also very costly. I have a secret to making my chili have a rich deep flavor without the need for expensive flavorings. I add cocoa powder. It brings out the flavor in the chili just like coffee brings out the richness in chocolate cake. While this recipe does use liquid smoke, to bring an additional flavor, it isn’t a necessary ingredient. Just don’t skip the cocoa. It adds an amazing amount of flavor. The pork shoulder in this recipe is what gives it great taste but is also what causes the recipe to be high in points. This recipe is 14 Weight Watcher Points per serving. Replace the pork shoulder with lean pork roast and this becomes a 7 point dinner. Pro Tip: Want to make clean up a breeze? You want to use a slow cooker liner. It is a huge time saver. No more scrubbing and soaking, and soaking and scrubbing the slow cooker. When cook time is complete, remove the lid and gently pull the pork apart with two forks. Allow the pulled pork to rest in the juices for 10-15 minutes to absorb more flavor if desired. To serve, top with shredded Mexican cheese, chopped red onion, and/or fresh cilantro. Enjoy! Combine garlic, cocoa powder, chili powder, cumin, cayenne pepper, and Mexican oregano in a small bowl. Rub pork roast with seasoning mixture on all sides and place in a 5 or 6-quart slower cooker crock. Arrange remaining solid ingredients around the pork, then pour the liquid smoke and chicken broth on top. Stir the ingredients on each side of the pork with a fork to combine. When cook time is complete, remove the lid and gently pull the pork apart with two forks. Allow the pulled pork to rest in the juices for 10-15 minutes to absorb more flavor if desired. To serve, top with shredded Mexican cheese, chopped red onion, and/or fresh cilantro.